We finally got our permits so there is nothing holding us back, my friends. During the time we have been waiting on the city and making edits to the architectural drawings. And then waiting on the city some more and making even MORE edits to the drawings, we have kept ourselves busy working on the cottage and getting prepped for the General Contractor to come in and do his stuff. My little helpers, framed perfectly. Now that we are a few months into this meaty beast, so I thought it was time to give you another super quick walk-through. Take a look at the video below. SEE THE PROGRESS. WATCH THE VIDEO (ABOVE). 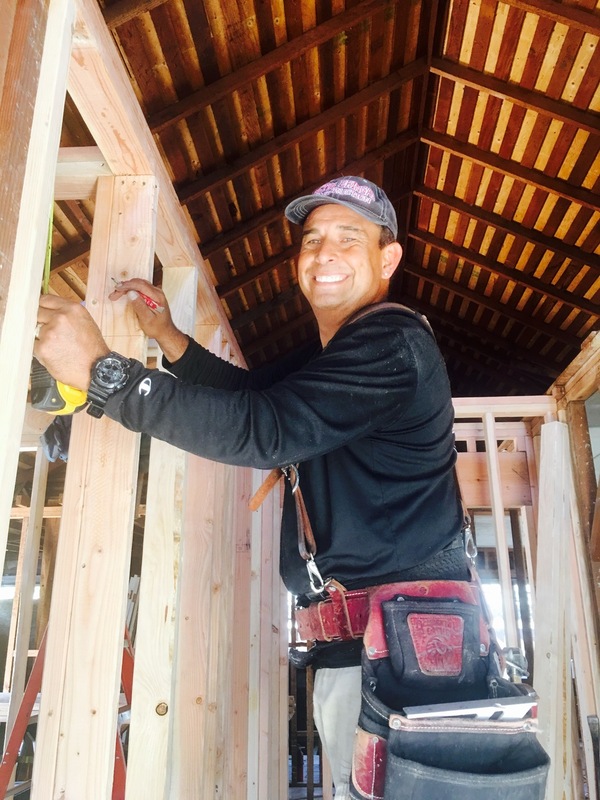 Here is our lovely contractor, Victor Bringas. And his crew. Look how happy he looks! One of the structural beams, which is integral to the support of our new attic structure was delivered the other day. It took a semi-truck to bring it to the house and 6 men to bring it inside. Crazy, huh? Here is my little one on the big beast. Please share this and ask your friends to subscribe to our weekly updates. Newer PostFlipping Lincoln Avenue: Up you go!